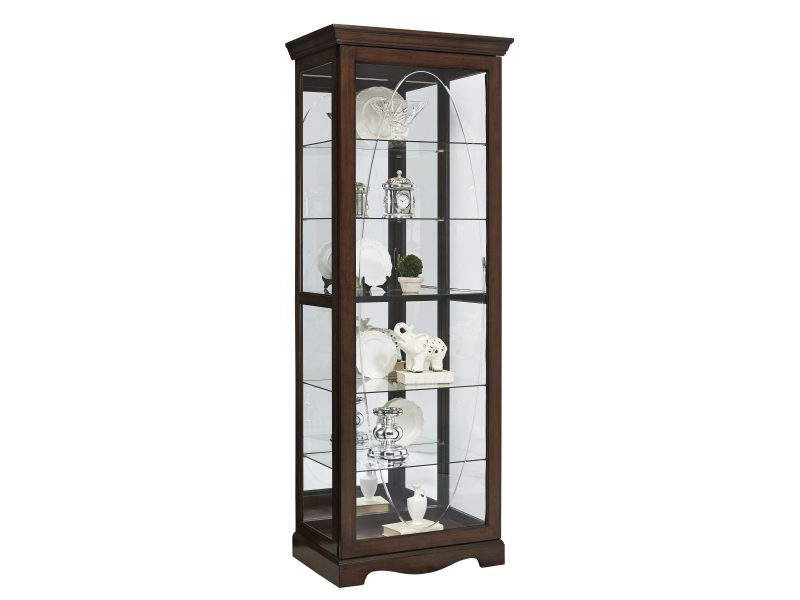 Show your favorite things off to their best effect in this stately curio with mirrored back. The V-grooved oval on the front glass provides added interest and the versatile dark Harley finish makes the cabinet fit easily into a variety of decors and Color schemes. The Curio's other practical features include a sliding front door, a stationary but removable center shelf, four adjustable glass shelves and an LED light with a touch dimmer switch.